Car insurance premiums are affected by many factors, including credit score. 1. How Long Do Homeowner Insurance Claims Stay on Your Record? 2. Does Homeowners Insurance Increase From Year to Year? 3. What Can You Do If Your Homeowners Insurance Won't Renew Your Policy? Spotless driving history is no longer enough to get a low vehicle insurance premium. Insurance carriers now use your consumer reports including your credit report to assess your risk and help determine your insurance premium. According to Daily Finance, insurance companies believe consumers with poor credit are more likely to file a claim. 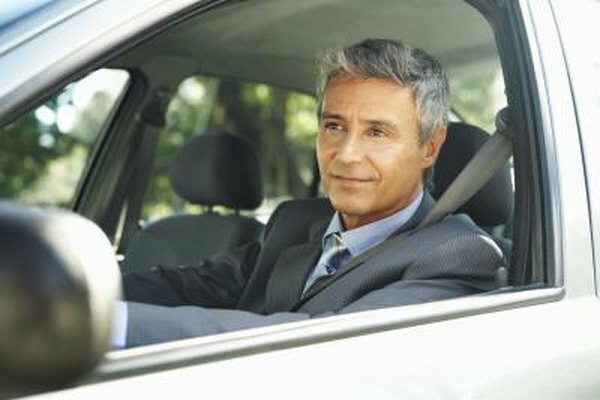 Your car insurance premium can increase or decrease due to your credit history. The Fair Credit Reporting Act is a federal law requiring accuracy and transparency in the use of consumer reports. As a consumer, you have several consumer reports including your credit reports, driving record, medical reports and reports of criminal activity. According to the Federal Trade Commission, insurance companies may use your credit report to determine your rate as long as they comply with the rules of the FCRA. With great credit and driving history, you are in a prime spot for low insurance rates. Consumers with poor credit may suffer a rate increase at renewal due to their poor credit history. If your insurance company increases your rate or denies coverage at renewal, it must send out an adverse action notice under the FCRA. The adverse action notice must state the reason for the denial or increase, the consumer reporting agency used and a statement that the consumer has a right to a free credit report because of the adverse action. The FCRA gives you the right to a free credit report if a company takes adverse action against you so you can see what information the insurance company received and review your report for inaccuracies. Your credit history weighs heavily into your insurance premium decision but it is not the only factor. Insurance companies take into consideration your driving record, claims history, years insured, age, vehicle type, gender and residence location. Each insurance company uses its own underwriting standards when issuing policies. Ask your insurance provider what factors influence your premium when you go to sign up. Most large insurance companies use credit scoring, but smaller regional companies might not rely on credit reports for underwriting policies. Falling on hard times impacts your credit score. When you are having a hard time paying bills, a rate hike can be a nightmare. If you notice a drop in your credit score, do not immediately expect a rate hike. Insurance companies review your policy upon renewal -- not each month. Depending on where you are in your insurance premium cycle, you have a while before your insurance rates increase. Credit Karma: What’s Up With My Auto Insurance Score?